Back pain is one of the most frequent and unpleasant pains. There are various stages of back pain, most of which are a consequence of an unhealthy lifestyle, genetics, or a disorder. Treatment can be complex and pain elimination can be difficult but it is not impossible to relieve back pain. Topical application of a balsam is the most effective method of treatment. Active ingredients soak deeply into the skin. 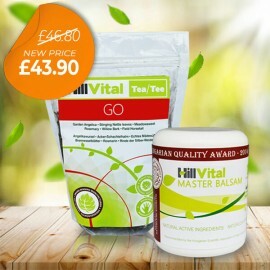 Our most popular and awarded Master Balsam is made from the most potent herbs with healing properties. The balsam works as an effective pain relief. 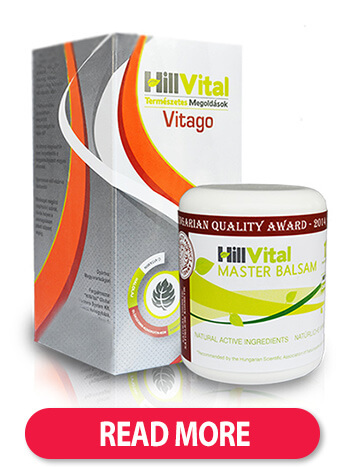 Application of the balsam acts in an anti-inflammatory and regenerating way. Intense rheumatic pains or pains associated with degenerative diseases require Maximum Balsam treatment. Together with 19 herbal extracts, Maximum helps create an analgesic effect. Its anti-inflammatory properties help stop the spread of inflammation. 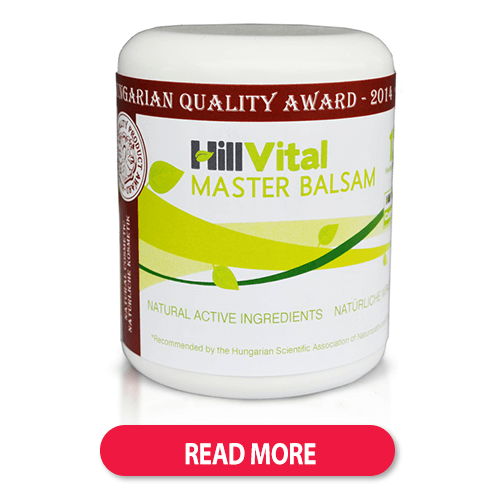 Maximum balsam also helps eliminate swelling caused by inflammation. Kapsamax balsam’s warming properties are beneficial for those suffering with a stiff back. The balsam effectively relieves morning stiffness which is usually experienced right after waking up. 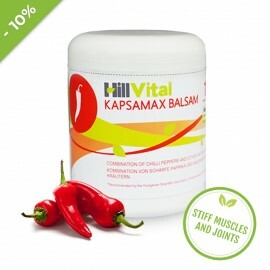 It increases blood flow in the affected area, warms it up and helps relieve stiff muscles. High-quality composition helps with muscle blockage. Herbs can also provide sufficient help. 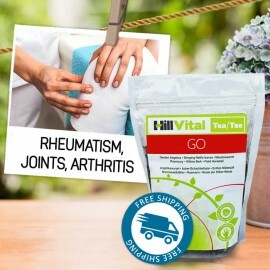 Our Tea GO contains the most potent herbs for back and joints: Stinging Nettle leaves, Garden Angelica, Willow Bark, Meadowsweet, Rosemary and others. When suffering from chronic back pain, we recommend a high dosage of vitamins which helps regenerate your back and supply it with proper nourishment. 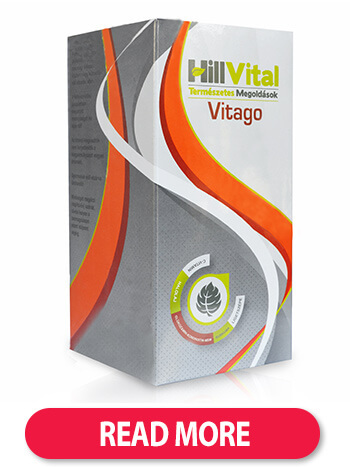 Our Vitamin pack Vitago contains vitamins specifically developed for the maximum nourishment and regeneration of joints. 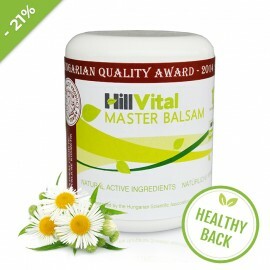 Get natural pain relief with HillVital products that contain effective herbs such as Horse Chestnut, Arnica or Aloe Vera. Our pain relievers are paraben and corticoid-free. For back pain and musculoskeletal problems. 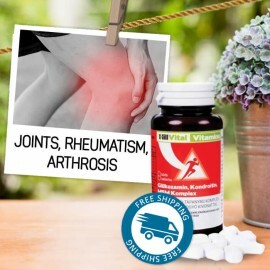 Unique herbal extracts along with 12 potent herbs that can contribute to relieving pain, swelling, inflammation and promoting spinal mobility. Eliminating back pain requires time and effort but can have long-term positive results. Try adding regular exercise to your routine that targets the back. You can get advice about these exercises from experts. Yoga is a great way to relieve back pain and strengthen the mind. Try adding a massage to your routine. Back massage can really stretch your back and make you feel relaxed and regenerated. Aromatherapeutic massage for example, relieves tension and muscle blockage. You can also try neck and lower back massage. Exposure to cold temperatures, such as swimming in cold weather, can act in a preventive way to suppress back pain. The common cold is the most frequent cause of back pain including immobility. Experiencing a cold is quite normal. Air conditioned offices, cars and stores are just some places where it's easy to catch a cold. Turn to the healing power of warmth. A warm bath can help to relieve acute back pain. If you are overweight, try changing up your diet. Obesity heavily affects the back. You should also try proper nutrition supplements that revitalize your bones and muscles. Herbs help with any kind of pain and act as a natural analgesic in the human body. Do you know the most effective ones? Aloe vera, arnica, ginger, willow bark, turmeric, capsaicin, rosemary, chamomile and nettle are the finest and most potent herbs. There are many factors that can cause back pain, and an unhealthy lifestyle can lead to developing back pain. Only ¼ of back pain problems can be associated with a disorder. The other ¾ are due to unhealthy lifestyle and other habits. What causes back pain? Injury or tendon swelling causes space reduction in the carpal tunnel which creates pressure on the median nerve. Pain is caused by developed pressure and irritation of this nerve and is followed up with numbness, tingling and other characteristic signs of the carpal tunnel syndrome. Acute and chronic back pain - how to treat them? Acute pains can last a couple days, in most severe cases - 2 or 3 weeks. They are caused by muscle overload which limits mobility. Sudden back pain can be caused by an ejected spinal disc or a cold. Hip pain can be caused by back muscle cramps. Inflammation is another cause of pain. When experiencing chronic back or neck pains, it is best to lay in a position providing relief, and warm up the affected area with dry heat or properly selected ointment, and use analgesic substances (balsams or tablets) to numb the pain. Chronic back pain can last a couple months, even years in some cases. The most frequent source of chronic back pain is an improper posture which weakens the muscles. How does it show in everyday life? What about decreased back mobility, sensitivity or migraines? Scoliosis, Kyphosis, radiculopathy, lordosis, or hyperlordosis are also among disorders that cause chronic back pains. Chronic pain treatment depends on the cause and severity of the diagnosis. The therapy ranges from exercises, using braces and equipment, to neurosurgical procedures (surgical elimination of spinal discs, growths, etc. ).